Our vision for Nuki has always been to create an expandable, simple and intelligent access control system that is integrated in a unique ecosystem, thus sustainably supporting its owner in everyday life. We can now proudly announce that we have won a very important partner for this ecosystem: Airbnb. Nuki has made it even easier for Airbnb hosts to grant guests or service providers secure but easy keyless access to their apartments. The connection is created simply by linking a Nuki Web account to an Airbnb account. As soon as you – as a host – have connected your Nuki Smart Lock to your Airbnb account, your guests will have keyless access to your apartment. Guests receive digital access permission completely automatically by e-mail, one day prior to their arrival. The provided access permission is only valid for the booking period. If guests don’t already have the free Nuki app on their phones, all they need to do is click on the link in the invitation e-mail to install the app on their phones. Guests are not required to register to use the Nuki app. As soon as a booking period ends, access permission ends automatically as well. Service providers can easily be coordinated. 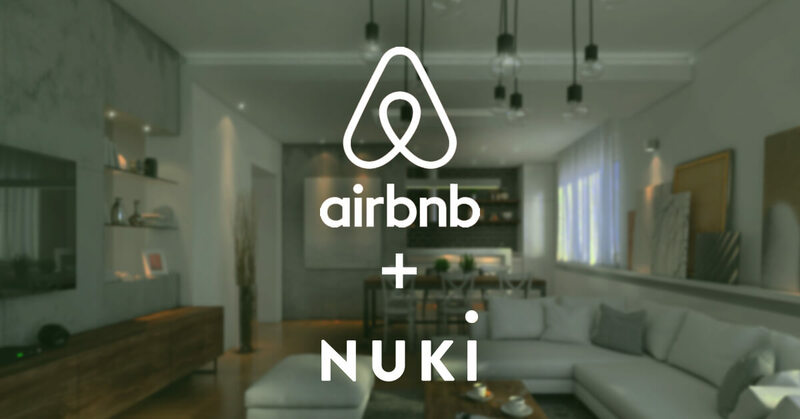 You are an Airbnb-Host and would like to benefit from the combination of Airbnb and Nuki? Activate Airbnb Comfort Check-in now!